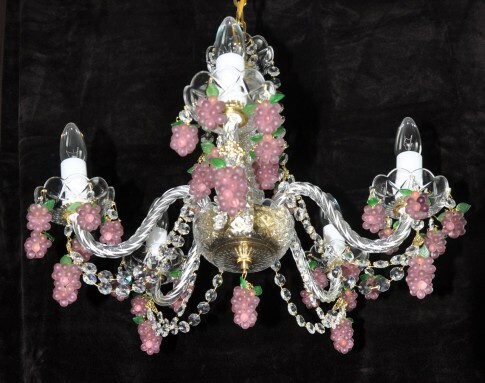 Glass crystal chandelier decorated with sand-blasted violet grapes. 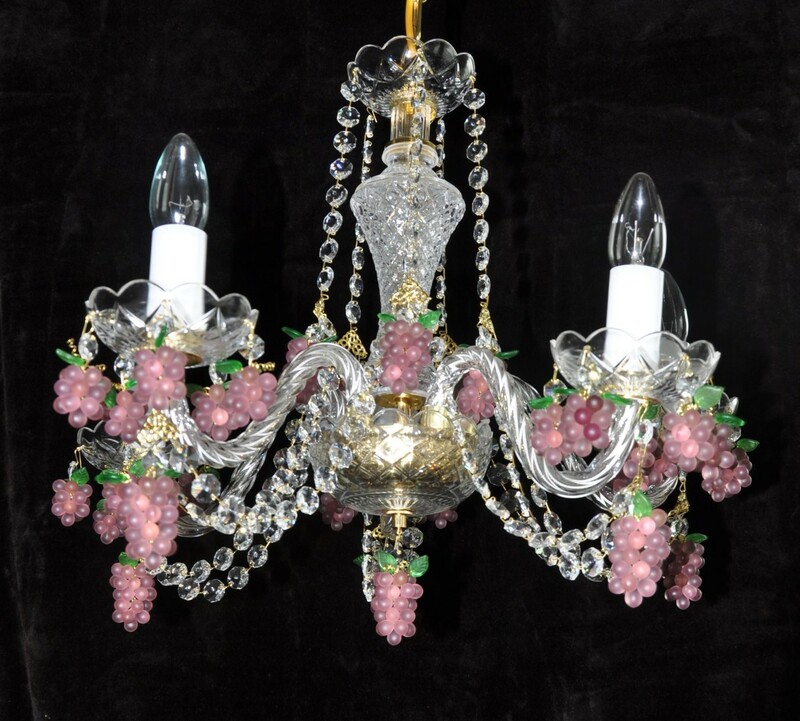 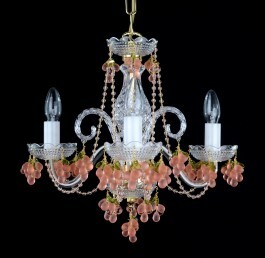 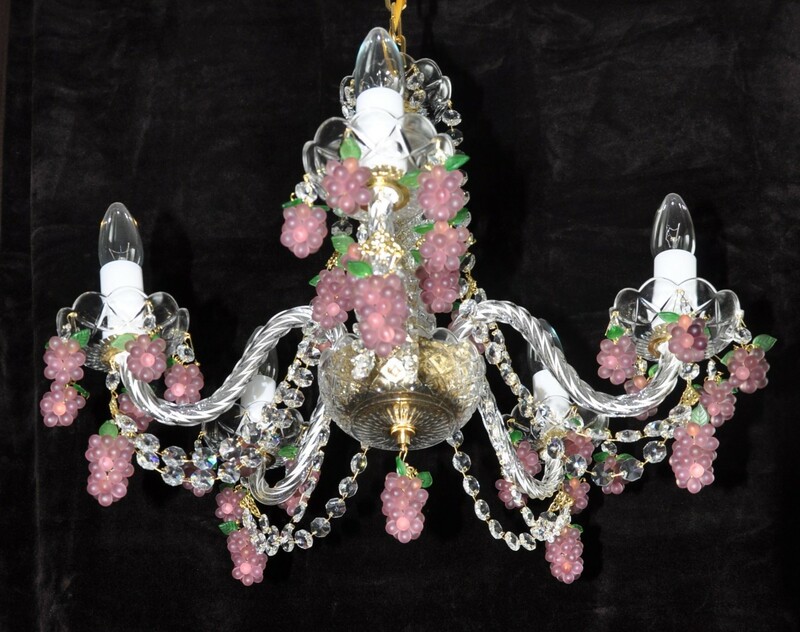 Design Crystal chandelier with glass grapes incl. hand-processed glass leaves. 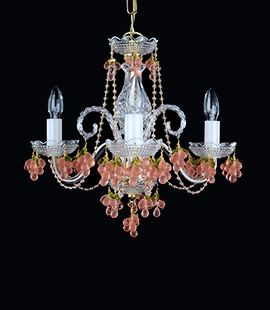 Body of the chandelier - Pressed crystal glass. 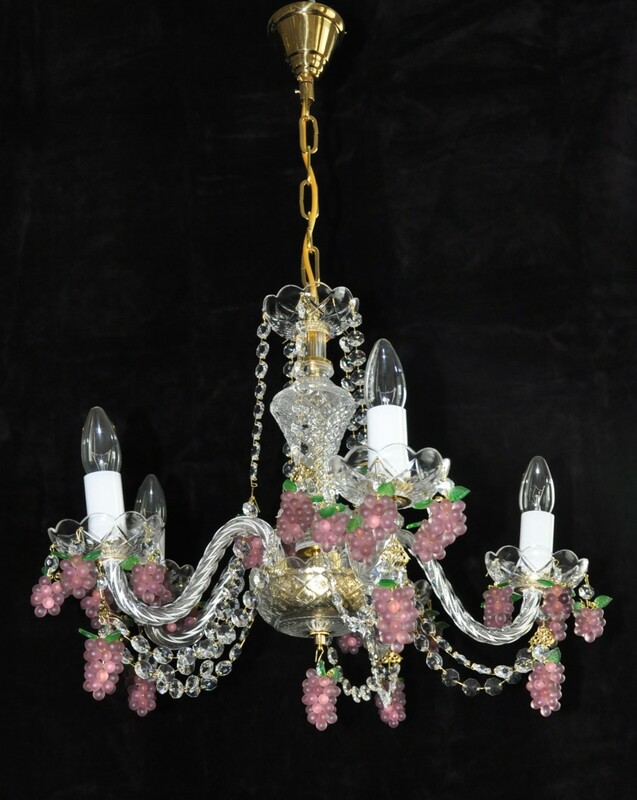 Dimensions (W x H): 52 x 48 cm/ 20.5"x19.6"